If you get a response saying that the domain/pair does not exist for each of these, you are not infected. The strange thing is that if you have Microsoft Office 2008, Office 2011 or Skype on your Mac, evidently the virus won't get installed. Maybe that's why I'm clean? Apple has issued a software update to close this vulnerability. If I understand correctly, it should also remove the virus if present. The same virus also affects Windows machines and has been around for awhile, so hopefully you will be OK there if your antivirus software is up to date. Map Making Support / Online .typ editor down? The requested URL /gps/typdecomp/editor.cgi was not found on this server. I hope this is just temporary. I have tried all the other ways to edit .typ files (which I do extensively) and this still remains the best. I spent awhile using it on my last map and ended up going back to the online editor after my .typ file became corrupted when changing draw order. I also wasn't able to get the extended font support to work correctly in some cases. It's a very nice program though, so I guess I'll have to learn to live with the problems if the online editor is really gone. I will not go into a lot of detail on how to use this excel spreadsheet at this time. The descriptions are available in the article and as I use each feature it will be metioned. Very impressive update. Garmin has certainly been listening to users. I have not tried this yet myself, so install with care since it's beta. One user in Garmin's forum's reported some issues after installing. See this thread in Garmin's forum for lots of screenshots and explanations of the new features. BaseCamp 3.3 is here! We are starting off with an early Beta release to give everyone a chance to check out the new features and pound on it for a little bit before we release the final version. We have incorporated a lot of user requests from this very forum. If your desired feature/bug fix didn't make it into this release, don't hesitate to remind us. This is the change-list from 3.2.2 to 3.3.0.2. I will add some explanations and screen-shots in later posts. Fixed issue with the data filter not being remembered between application runs. I was trying to update the info for one of my maps, and no matter what I did the edit would fail with some kind of database error after I hit the submit button. After some screwing around, I *think* the issue was that the title of the map contained an apostrophe (Boyd's Map of New Jersey). In any case, when I removed the apostrophe from the title, the edit was properly submitted. It's odd, because I didn't change the title of the map, the previous version also had an apostrophe in it. Anyway, kind of trivial but I thought I'd mention it. Title pretty much says it all. 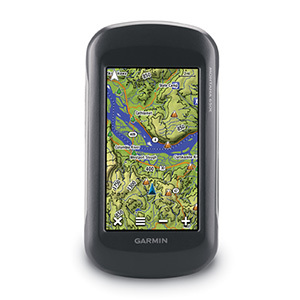 REI sale price is $250 and there's a $50 mail-in rebate from Garmin. This is by far the lowest price ever on this model. I'm embarrassed to admit what I paid for my Oregon 400t about 3 years ago. But you could buy Oregon's for the whole family for about the same price at this sale. Maps in the new format (not using registry settings) are becoming more common. These maps have the extension .gmap or .gmapi. Sometimes they are presented as maps for Mac OSX (RoadTrip/BaseCamp), but they can be used in Windows too. 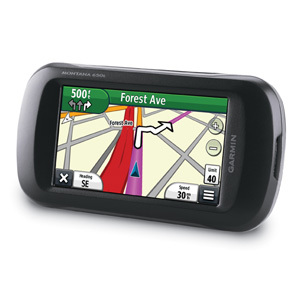 Garmin MapManager for the Mac provides an easy way to install them, but there is no Windows version of it. This option in JaVaWa GMTK enables you to install these maps. It will check that no existing map will be overwritten, and after installing new maps, JaVaWa GMTK will perform a check for possible file errors and conflicts with other maps. Even on the Mac this method is preferable, because Garmin MapManager doesn't check anything and will overwrite existing maps without warning. But had the same problems. BTW, the new national map viewer (link above) seems to be to be very nice. Faster and easier to use than the old one. Wow, now this is cool.... but really expensive (650t is $700, no pricing yet on the others but probably around $600 without the pre-loaded 100k topo). 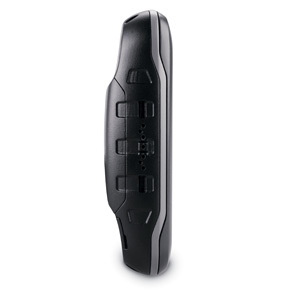 Dual orientation 4" screen at 480x272, dual power options and finally a handheld with a speaker so this can replace your auto gps. Lowest price we've seen since the holidays.